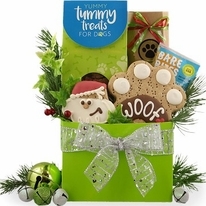 Toasted Vanilla Peanut Butter (Green) Lazy Dog Biscuits 14 oz. 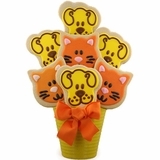 Rabbit and Pumpkin Dog Treats 5 oz. 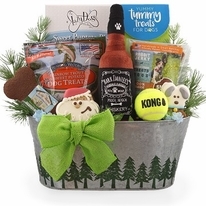 If you’re looking for an awesome holiday dog gift basket that is filled with lots and lots of treats you’ve found it here in our Dog Pound. 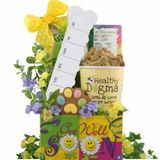 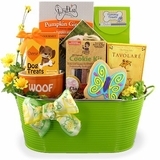 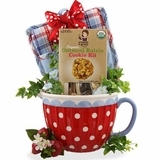 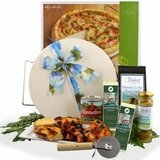 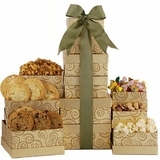 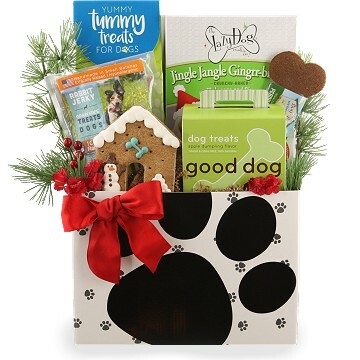 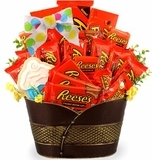 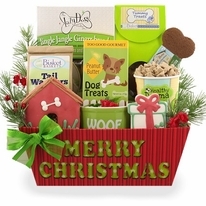 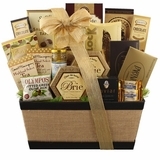 With lots of assorted doggie biscuits tucked inside this doggie gift there are sure to be many rewards for being good, playing nice and even protecting the house while you’re gone. 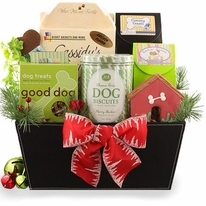 With LOTS of treats inside; this holiday dog gift is sure to be a huge hit at your home or at the dog pound!